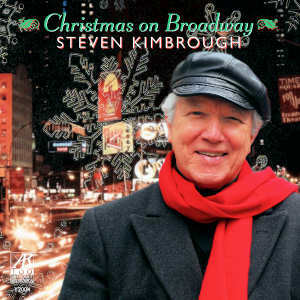 Steven Kimbrough is featured on a 2008 solo album, Christmas on Broadway, released by ARABEQUE RECORDS, which is the first collection of Christmas songs from Broadway shows ever to be released. Though Kimbrough is known for his highly praised recordings of German-language art songs of such outstanding composers as Kurt Weill, Franz Schreker, Alexander von Zemlinsky, Erich Wolfgang Korngold, etc., he has long demonstrated his affinity for the songs of musical theater by starring in such roles a Emile in South Pacific, Hajj in Kismet, and through his outstanding recordings, e.g. Classics from Hollywood to Broadway (Wright and Forrest songs, KOCH/SCHWANN), This is the Life (Kurt Weill songs, ARABESQUE RECORDS), and Korngold Hollywood Songbook (VMS Records). Kimbrough has also starred in musical films on German and Austrian television, such as Man of La Mancha and Katherina und Potemkin. Jack Lee, the distinguished Broadway conductor, is the Artistic Director/Musical Supervisor for the recording. Lee has numerous Broadway, Off-Broadway and tour credits as music director and conductor include: Funny Girl; No Strings; Irene; Sweet Charity with Gwen Verdon (the movie with Shirley McLaine) and Chita Rivera; George M! with Joel Grey and Darryl Hickman; Applause with Lauren Bacall; Annie Get Your Gun with Debbie Reynolds; Peter Pan with Sandy Duncan; My One and Only with Tommy Tune; Nick and Nora with starring Barry Bostwick, Joanna Gleason and Christine Baranski; My Fair Lady with Richard Chamberlain; and A Funny Thing Happened on the Way to the Forum with Phil Silvers and Nancy Walker. 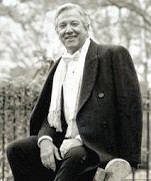 The arrangements for the songs on the recording are by John Drymon. The diversity of styles reflected in his arrangements from ballads to jazz make the recording a delight to hear throughout the holidays.